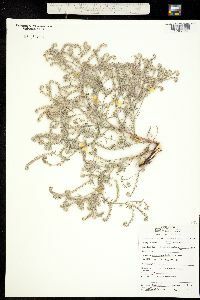 Cryptantha muricata (Hook. & Arn.) A. Nelson & J. F. Macbr. 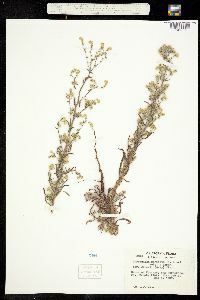 Duration: Annual Nativity: Native Lifeform: Forb/Herb General: Annual with stem branched throughout or above the middle, thinly strigose and spreading soft to rough hairy, 10-100 cm tall. 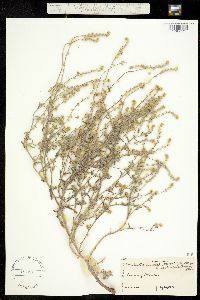 Leaves: Linear, 0.5-4 cm long, rough-hairy to bristly, some bristles bulbous-based. 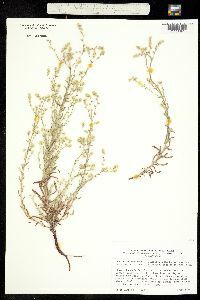 Flowers: Generally open inflorescence in fruit, upper flowers sometimes touching or overlapping; sepals 1-2 mm, 2-4 mm and lanceolate in fruit, strigose and spreading-bristly, corolla limb 2-6 mm wide. Fruits: Nutlets 4, 1-2 mm, ovate to deltate, back covered in tubercles, groove more or less closed, forked to flared open at base. Ecology: Found in sandy or gravelly soils, usually in openings from 2,000-5,000 ft (610-1524 m); flowers April-June. Distribution: CA, NV, AZ; south to n MEX. 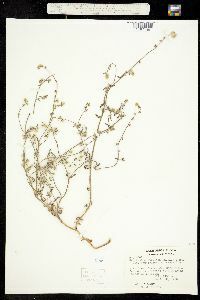 Notes: Distinguished by being ascending to decumbent, slender, annual, with semi-sparse stiff hairs on stems (the similar barbigera is more bristly) much-branched throughout; calyx erect to spreading, shorter, more or less closed, and not recurved (barbigera lobes are long and open); 4 same-size tuburculate nutlets with rounded margins; style longer than the nutlets. nutlets glossy but tuburculateThis is a species to collect, as it is so difficult to distinguish between Cryptantha without a dissecting scope. 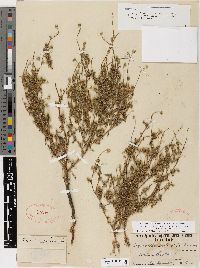 Ethnobotany: Unknown, but other species in the genera have uses. 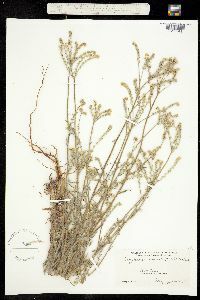 Synonyms: Cryptantha muricata var. 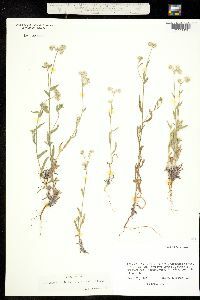 denticulata, Cryptantha muricata var. 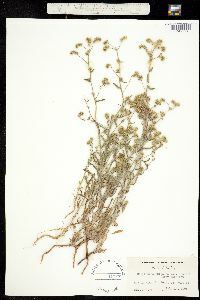 jonesii, Cryptantha muricata var. 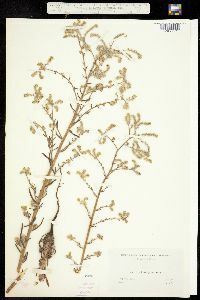 muricata Editor: SBuckley 2010, FSCoburn 2015 Etymology: Cryptantha comes from the Greek krypto, "hidden," and anthos, "flower," a reference to the first described species in the genus which has inconspicuous flowers that self-fertilize without opening; muricata means muricate, as in a surface roughened by means of hard points or sharp projections.